Seated Devi, South India, Circa 12th century A.D. Government Museum, Chandigarh, India. The sculpture probably of Parvati, is mutilated. The head and the arms are lost. It has elaborate ornaments, a sacred thread (yajnopavita). The lotus seat has multiple series of petals and floral patterns and designs. The folds of the lower garment of the figure are shown with beads. The frontal loop of the drapery has fan like disposition. 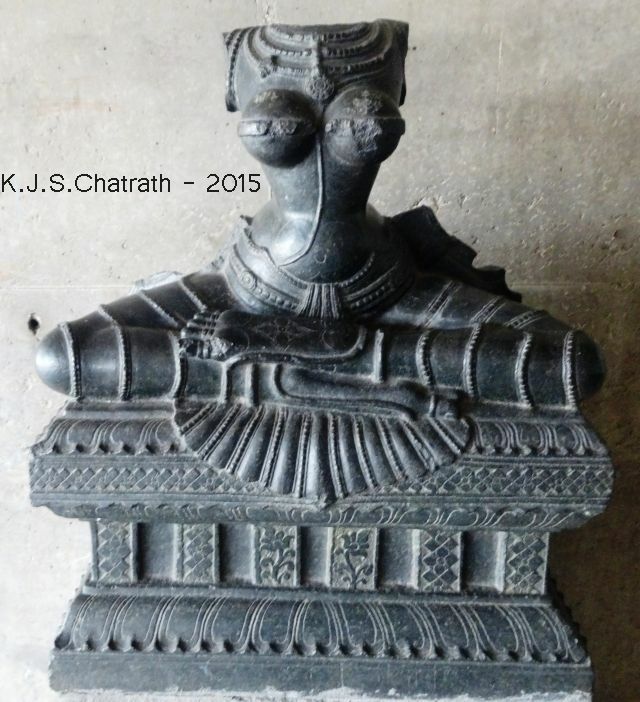 The sculpture shows the stylistic type noticed in the metal sculptures of South India, particularly of the Chola period as per the details mentioned on a placard put near the statue by the Museum authorities.